Track Operations Per Color Variations of the Style/Article. Some Fabric and Trim Requirements can overlap and some requirements can be drastically diffrent. GPro manages all the seperate Bill of Materials for each color. Track Operations Per Size Variations of the Style/Article.GPro will track these Size variations from creation till shipment. Articles can have Multiple Fit Sizes (Slim,Regular etc.). These Variations can have implications on the Fabric Cutting. GPro Tracks all those seperate operations to reduce any complications. 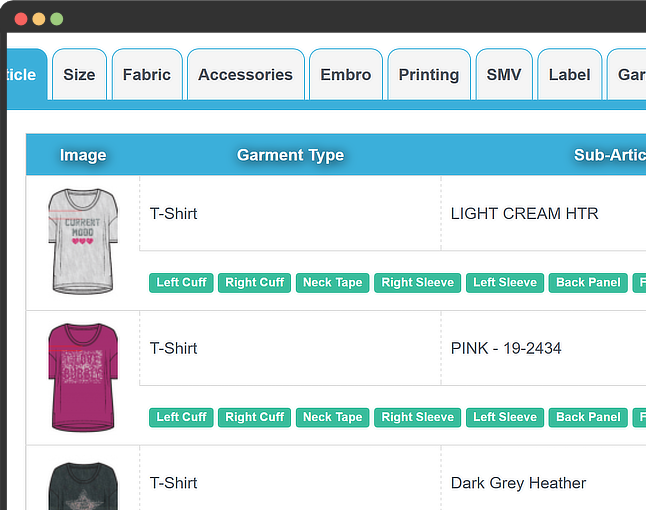 Articles Orders can be in form of Multiple Packs and can have Multiple Types of Garments within a Single Pack. 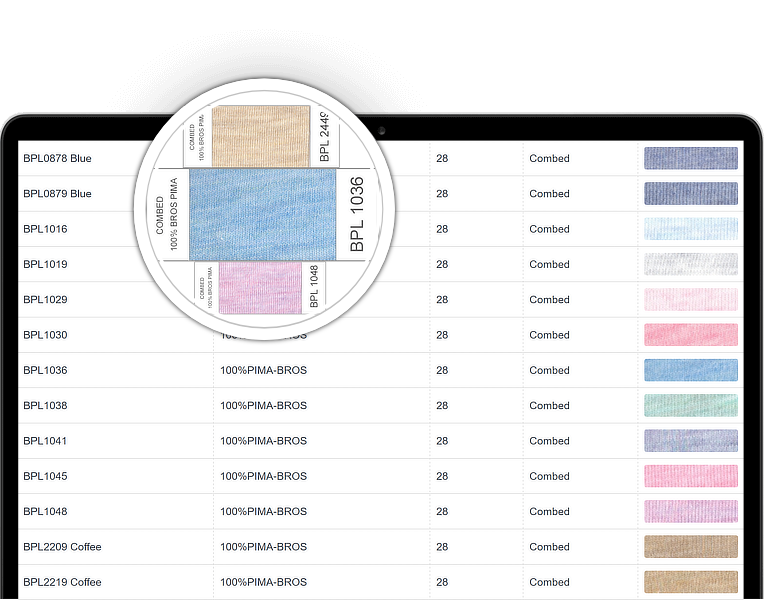 GPro Makes it Possible to Manage and Track every single batch of inventory from Yarn,Fabric,Trims To Finished Garments as well as Chemical Inventory. Each Requirement is logged to a specific order and issuance and recieving is also tracked with refferance to the order. Collaborate across all teams and locations online with GPro2 garment software.More informed teams will lead to better management of orders. Simple and effective costing with budget controls reduce material cost & wastages.Fast calculation for expected CM and Expected Costs and Expected Revenue. Manage finished goods, fabrics, trims or office supplies. All the issuance, purchasing and issuance is controled by demand from the sales orders and buyer wise. Track capacity and resources. Maximize up-time and track run times and line efficiency. Stay up to date on sales order progress. Get reports and performance metrics on the mobile at any time anywhere.Get important alert on the go. 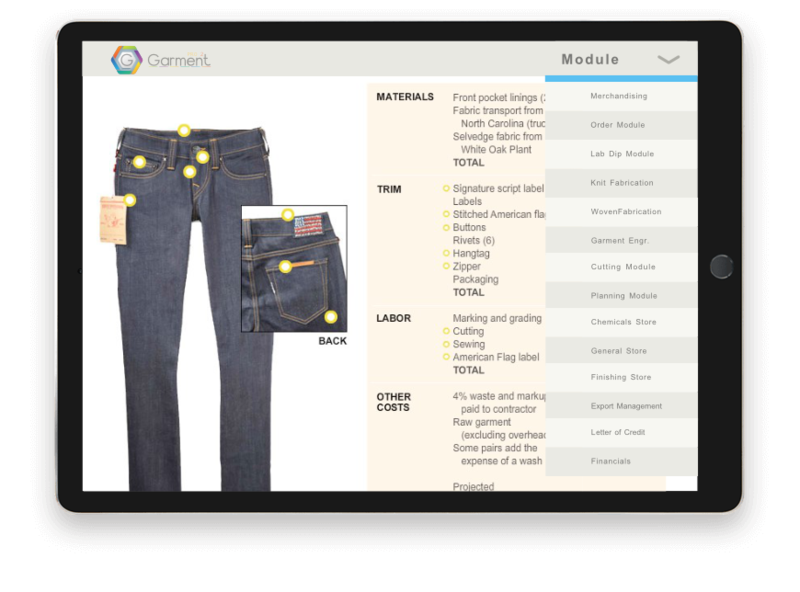 Flexible Dashboards and reporting tools in GPro2 garment software enable better decision making. Copyright © 2018 NeoBizSolutions. All Rights Reserved.